1 Are You Overweight? Three Proofs Show How It Wrecks Your Joints! 2 Does Obesity Cause Joint Problems? Are You Overweight? Three Proofs Show How It Wrecks Your Joints! Can Obesity Cause Joint Problem? By losing weight, you are not only reducing risks of heart failure and cholesterol increase but pain as well. In addition, experts were able to find out that obesity bone and joint problems lead to osteoarthritis. So, if you want to treat joint pain, you better give up your burger and fries obsession. Before you end up with obesity-related joint pain, it is best that you are aware of other overweight risks. 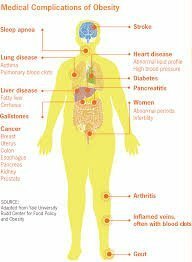 One of the common health risks brought by obesity is coronary heart disease. A study proved that as your body mass index (BMI) increases, your coronary heart disease risk also increases. The condition is characterized by reduced blood flow and blocked coronary arteries. Moreover, high blood pressure is common among obese people. According to American Heart Association study, being obese or overweight increases your chances of developing high blood pressure. This is due to the fact that increased weight causes heart strain. Moreover, even triglyceride and blood cholesterol levels increase. Type 2 diabetes risk is another disadvantage of being obese. Obesity increases blood sugar levels. Apparently, having diabetes causes kidney problems, stroke and blindness. Increases Pressure on the Knees. According to a study, a pound of weight is equivalent to four-pound load to your knees. With increased pressure on your knees, you will be at risk to wear and tear. Additionally, your osteoarthritis risk may also increase. In contrast, you can reduce your risk to osteoarthritis by losing weight. According to American College of Rheumatology study, a four-fold reduction in knee load is achievable by losing a pound. The research added that progression of osteoarthritis occurs when biomechanical joint stress increases in obese adults. Worsened Pain in the Knees. Obesity and pain have long been related based on numerous studies. The studies concluded that obesity can cause health problems as detrimental as chronic pain. This is due to the fact that chronic pain is associated with increased triglycerides, high bad cholesterol level, and metabolic syndrome. Aside from knee pain, obesity has been related to other pain issues. These pain issues include headaches, abdominal pain and fibromyalgia among others. Cartilage Breakdown and Higher Osteoarthritis Risk. Being overweight results in a breakdown of the cartilage, which covers the ends of the bones. The more obese you become, the more stressed your joints are. Rheumatology experts claimed that knees and hips have the most weight-bearing joints. This is the main reason why obese people have joint problems more frequently than people with normal weight. Obesity greatly increases arthritis risk. I got a phone call from one of my customers at one point. He was complaining about his knee pain. So I asked him how much he weighs. “350 pounds”, was the reply. I said, ” Gee, maybe you should consider changing your diet”. He said that he eats a perfectly healthy diet of a large bowl of spaghetti, with tomato sauce. My friends, if you are eating like that, you are probably overweight, too. And unless he changes his diet radically, I don’t see any hope of improvement for him. There has been a lot of research into what constitutes a healthy diet, and that includes lots of fruits and vegetables to get the vitamins and minerals we need, plus a good amount of protein to keep muscles in shape. Some oils are better than others. Olive, Coconut being two of the most common ones. On the other hand, sugar, refined foods, fast foods, diet or sugary sodas, lots of dairy are all examples of foods to minimize or avoid. Likewise, lots of bread, pasta, and refined grains, like white rice, white bread, and pasta made from refined flour are best to minimize. 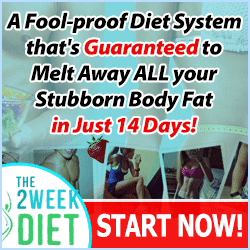 The question arises, if you are reading this, and you are overweight, then you may well benefit from a structured diet program, something to keep you on track.